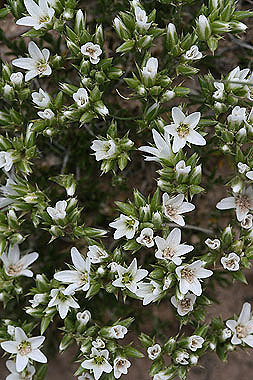 Eremogone hookeri is the plains species of Eremogone, often growing on or near sandstone. 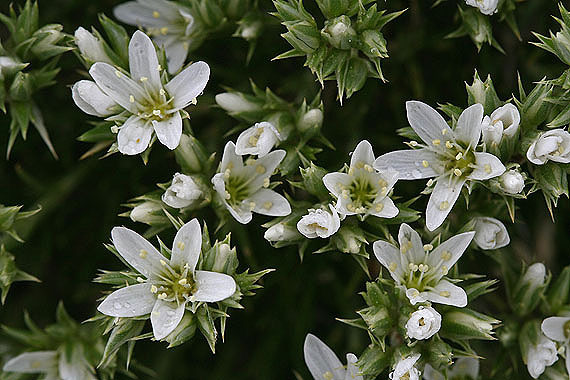 Plants grow in dense clumps with closely spaced flowers. Leaves and sepals feel sharp to the touch. 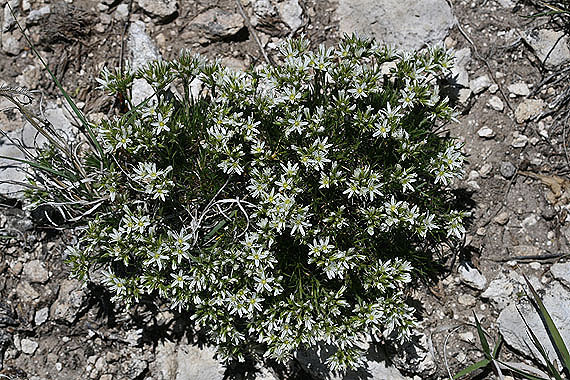 Compare to the montane species E. fendleri, which has longer stems.